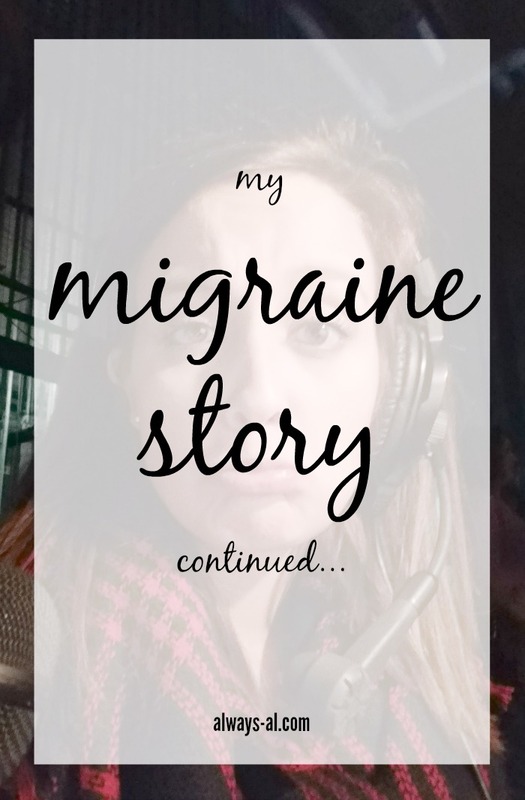 I have written before about my struggle with migraine headaches. Unfortunately this is a health struggle that I will have to deal with for probably the rest of my life. I wrote that last post about 2 years ago, and wanted to give a little update to you guys. I know there are other migraineurs who read this blog, so I hope this information might help you. Of course I am not a doctor. Please talk to a healthcare professional before making any changes to your routine. I have suffered with migraines for years, and been on medication for them for a number of years as well. When I wrote my post in 2014, I talked about having some new symptoms, including facial twitching and some vision loss. My neurologist and I have been working pretty hard to get everything under control since the time that I first saw them in Norfolk in 2014. I have added different medications, and very recently took some medications away from my daily routine. This has been difficult, but I know that it is all worth it. To be completely honest, I want to be off of some of these medications for my health as well. A lot of neurological medicines have a large number of side effects, which can be almost as bad as the migraines you are trying to prevent. Also, you absolutely cannot get pregnant while on some medications, and it takes a while to get out of your system. Even though a baby isn't in the plan for us for the next few years, it is still something to think about. I no longer keep a headache journal, even though I probably should. And I've found several things that help soothe a headache without medication. Staying hydrated and eating healthy foods have helped immensely as well. This is a sample of the list of foods that my doctor told me to avoid. This feels like it includes everything. I have learned to become extremely open to new treatments and supplements. Your body (especially the brain) works in such complicated ways, that sometimes a treatment, supplement or medication that is originally used for one purpose can be used for another. At the end of the day, you can only do the best you can. With a condition like chronic migraine, it seems like all trial and error.